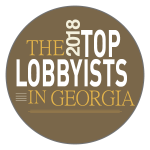 Dowdy has extensive corporate and law firm experience and a unique background in corporate litigation and a deep understanding of governance, regulatory affairs, economic development strategies, and public policy matters. As the former senior vice president of external affairs, corporate communications and marketing at Spire Inc., the fifth-largest publicly traded natural gas company in the U.S., Dowdy was part of the company’s executive council that provided strategic guidance, governance, and oversight to its affiliated companies including five natural gas utilities (Laclede Gas Company, Alabama Gas Corporation, Mobile Gas Service Corporation, and Willmut Gas and Oil Company), a natural gas marketing company, and an emerging technologies group. Prior to joining Spire, Dowdy was a Partner with McKenna Long & Aldridge for over 20 years and gained experience representing utility, energy and telecommunications companies in complex matters before state and federal regulatory agencies and the courts. Additionally, he counseled clients in public policy matters including energy and telecommunications issues. Representative of his work, Dowdy has been listed in The Best Lawyers in America and as one of “America’s Leading Business Lawyers” by Chambers USA. He has also been listed as one of the Best Lawyers in Atlanta by Atlanta Magazine and has been named a Georgia Super Lawyer by Law and Politics. Before practicing law, Dowdy was Manager of Business and Product Planning for Westinghouse Power Systems. Dowdy has served in several esteemed leadership roles including several Director roles. He was appointed by Governor Sonny Purdue as a Board Member of the Lake Lanier Islands Development Authority State Board and he has served on the Boards of the Hawthorn Foundation, the Center of Creative Arts (COCA), the Kansas City Area Development Council, the Business Council of Alabama, the Economic Development Partnership of Alabama, the Montgomery Area Chamber of Commerce, and the Georgia Chamber Governmental Affairs Council. Dowdy earned his undergraduate degree in Electrical Engineering from Auburn University and his law degree from Georgia State University College of Law.